Terrific Tuesday! New Weekly Deals and Stuff from the Chalet & Stampin` Up! New Weekly Deals! You can shop for these items by clicking on the links below! Happy Shopping! Thank YOU, from myself, Stampin` Up! and Paper Pumpkin!! A HUGE shout out to all our Paper Pumpkin subscribers! Because of you, Stampin’ Up! 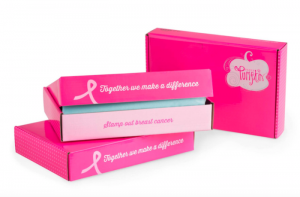 donated $36,378 to the Breast Cancer Research Foundation, a world-class organization dedicated to ending breast cancer! Together, we truly make a difference. Thank you! A new video for you! Let’s make some super cute notepads! Tonight I am teaching at the Ludington Public Library! I hope you had a chance to contact the library and RSVP for tonights class at 6pm at the library! 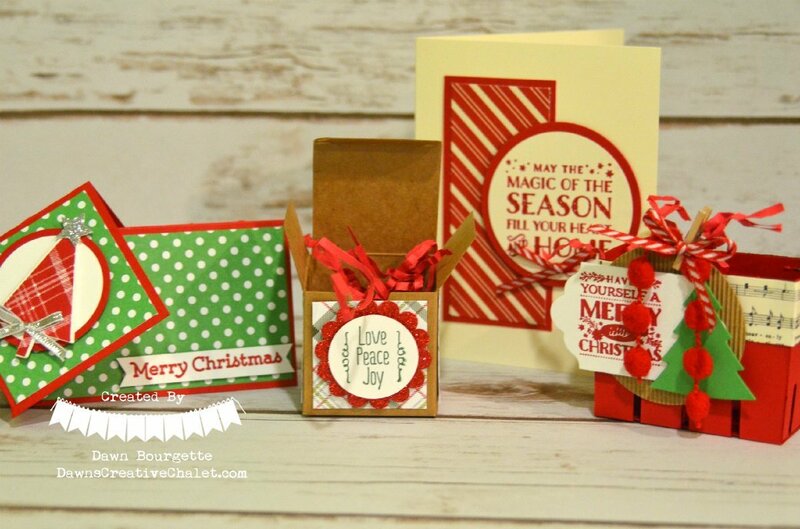 I am hosting a special Christmas class making two cards and two 3D items.. how fun!! I am super excited and hope to share a few pics with you tomorrow! 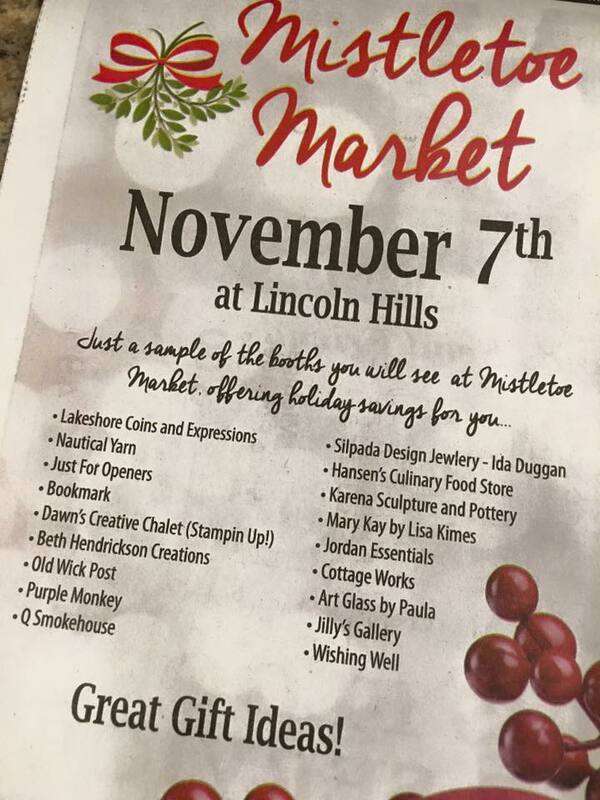 Once again, I will be at Mistletoe Market this Saturday from 9am-3pm. I will have some super adorable stocking stuffers for everyone on your list! Did I say they are super adorable?? So, please stop by my booth and say hello! Ill have an overload of creative holiday inspiration for you, too! See you soon! !